1. Eat an all-tomato dinner cooked by New York’s gelato master. Meredith Kurtzman has been called the person responsible for New York’s love of gelato. On September 13 ($40, from 7 p.m. to 9 p.m.), she’ll host a dinner at Archestratus Books + Foods celebrating one of her other culinary obsessions: tomatoes. The four-course dinner will include a gazpacho shot with fried chickpeas, pickled green tomato with mortadella ribbons and herby mayo, fregola with calamari and clams in roasted tomato broth, and sweet tomato crostata with crema. 2. Have lunch at one of Koreatown’s best new restaurants. Yoon Haeundae Galbi has been a welcome addition to Koreatown’s dining scene, a nice spot for good, quality Korean barbecue and more (get the Busan neighborhood pancake, $17 during lunch and $21 during dinner) with a few twists. 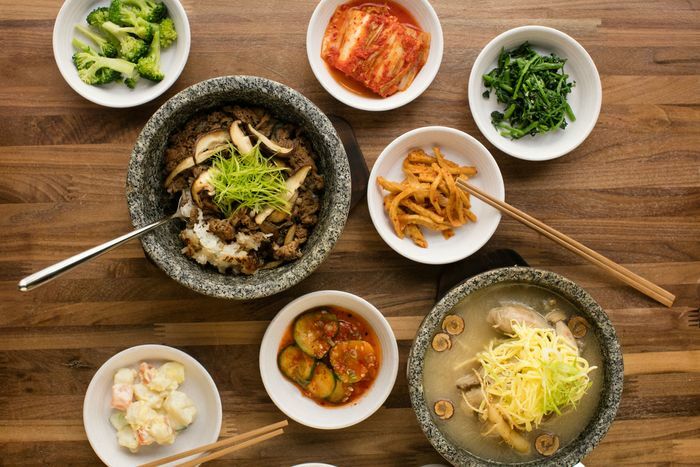 The Korean import has opened for lunch, adding to the neighborhood’s excellent choices for a hearty afternoon meal. During the day, they’re serving an expanded menu of stews like chicken ginseng and black cod (both $15), plus rice dishes such as a stone-bowl octopus and bulgogi (both $15) over rice. 3. Drink birthday beers and eat Filipino tacos at a brewery’s second-anniversary party. KCBC is a laid-back and great place to drink craft beer any night of the week. On September 6, its owners will celebrate the brewery and taproom’s second anniversary with a birthday party. It’s going down from 5 p.m. until late, with brand-new Double IPAs for those who like it hoppy, collaboration brews and more beers, anniversary glasses and shirts, and Filipino tacos from pop-up Little Chef Little Kitchen. There’s no cover, and DJ Eat Records will provide the soundtrack. 4. Attend a street festival celebrating Queens’ diversity. Viva la Comida was started in 2012 to celebrate the local flavors and diversity of Jackson Heights and surrounding neighborhoods in Queens. Held on the particularly diverse corridor of 82nd Street and now in its seventh year, the festival returns on September 15 from noon to 7 p.m. This year’s vendors include Tulcingo, the Arepa Lady, and Mysttik Masaala, who will serve food while musicians play roots, Latin, and jazz music. 5. 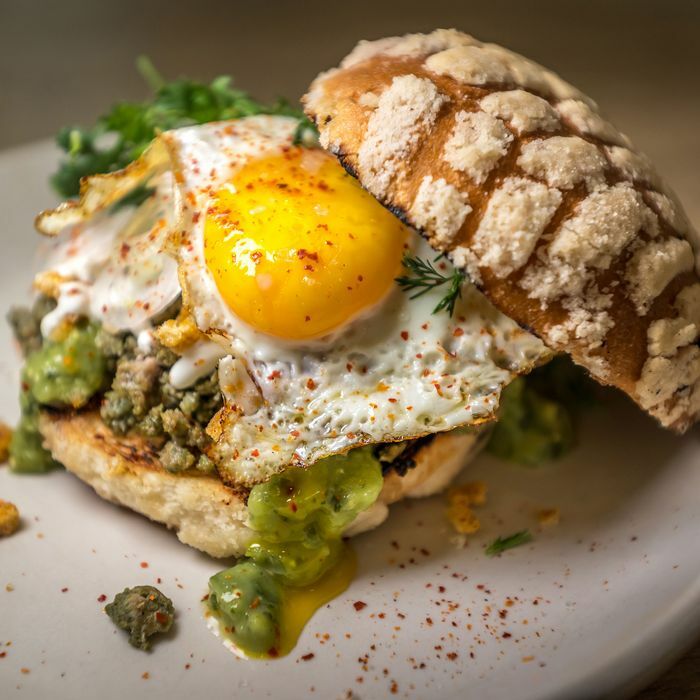 Check out a wood-fired Mexican restaurant’s new daily brunch. Who in their right mind wouldn’t eat chilaquiles seven days a week? Greenpointers can at the popular wood-fired Mexican restaurant Oxomoco, which now serves the dish ($16) during its new daily brunch. There are, this being 2018, bowls with achiote tuna ($18) and grilled zucchini ($16) with salsa Veracruz. But if you’re in need of more robust nourishment, there are three kinds of burritos ($12 to $14) — including one with grilled bacon and fried potatoes — and a torta especial ($18) with chorizo verde and chicharrón on a concha. 6. Celebrate the restaurants of North Brooklyn. The culinary block party that is Taste Williamsburg Greenpoint returns for its ninth year on September 16 (tickets are $55 for general admission or $85 for VIP). Benefiting the Firehouse North Brooklyn Community Center, the event brings together 40 local restaurants, including Pies ‘n’ Thighs, Barano, Brooklyn Pizza Crew, and Lighthouse. 7. Go to a Viet Cajun seafood boil or Taiwanese and Vietnamese pop-up from Hanoi House’s acclaimed ex-chef before he leaves town. While the now former Hanoi House chef John Nguyen is on his way out of town, he’s found time to stick around a little longer to have some fun with pop-ups around town. On September 5 and 6 at the Basement, Nguyen and chef Helen Nguyen will throw a Vietnamese Cajun seafood boil. Then on September 17, he’ll head to East Williamsburg’s Win Son for a four-course dinner (tickets are $75, seatings are at 6:30 p.m. and 9:30 p.m.), called Bo Bo Kitchen. Cooked in collaboration with Win Son chef Trigg Brown, it’ll include cold noodles with sesame and peanut, mango salad with manila clam, Sun Gold tomato pie with tofu Parmesan and wuyuzi, and bun bo hue. 8. Feast on bratwurst and schnitzel at the NoMad Bar. ﻿Can’t make it to Munich for Oktoberfest? It’ll be a lot cheaper, anyway, to go to the NoMad Bar, which will launch its NoMaderfest pop-up on September 22. They’ll serve a daily prix fixe ($58 for three courses) with specials like bratwursts, chicken schnitzel with jaeger sauce, and beer-battered apples. 9. Hit up New York’s only outdoor night market when it returns for its fall season. After a late summer vacation, the Queens Night Market will return on September 29 for its fall season. It’ll still be every Saturday from 6 p.m. to midnight in Flushing Meadows Corona Park, and is a great way to spend a night outside before it gets too cold. The market’s rotating roster of vendors (80, at last count) is as voluminous and diverse as New York itself, and include Burmese Bites, the Malaysian Project, Caribbean Street Eats, and others. 10. And welcome back Urbanspace’s outdoor markets for another season. While talking outdoor markets, Urbanspace’s Madison Square Eats returns on September 8 through October 5 (11 a.m. to 9 p.m. daily) with vendors like Arancini Bros, Ice & Vice, and Palenque Arepas. So does Broadway Bites on September 24 through November 2 (same hours), featuring Daa! Dumplings, Enfes NYC, Kotti Berliner Döner, and others. 11. Head to a Brooklyn bookstore for two exciting food book events. Books Are Magic will host Julia Turshen on September 8, when she’ll talk to New Yorker staff writer Jia Tolentino about her book Now & Again. Featuring 125 recipes, the book focuses on how to reuse and repurpose leftovers for easier cooking and less waste. Then on September 18, Tamara Shopsin will talk with Vacationland writer John Hodgman about Arbitrary Stupid Goal, her book about growing up in the Greenwich Village and her father Kenny Shopsin’s New York institution Shopsin’s. Both events are free. 12. Take a trip upstate for an annual festival celebrating everything and anything garlic. When asked about your favorite dishes and sauces, do you think of dishes like pesto, bagna càuda, kimchee, and toum? Then join your people at the Hudson Valley Garlic Festival on September 29 and 30 (entry costs $10), and celebrate 25 years of all things garlic. The event runs from 10 a.m. to 6 p.m. on Saturday and from 10 a.m. to 5 p.m. on Sunday, and there will be garlic farmers, a garlic market, and food vendors serving lots of very garlicky food. 13. Have an Italian-ish restaurant’s new lunch burger, then brunch on egg pizza at a newish pizzeria. Another good burger is always welcome. Add another one to your list: Jonathan Benno’s Roman-ish Leonelli Taberna is now open for weekday lunch, starting at noon, with a menu featuring a burger ($19) topped with provolone, hot peppers, and pickles. Other dishes, should your tastes be less about beef, include baked ricotta ($17) with summer squash and orata ($23) with brown butter, lemon, capers, and almonds. While on topic of new Italian restaurants serving lunch, Rosemary’s Pizza now does, too. The same pizzas will be served from 11:30 a.m. to 4 p.m. on weekdays. During weekend brunch from 11:30 a.m. to 3 p.m., they’ll offer two new ones (both $17): a Carbonara, à la the classic pasta, and a Pan Frattau, with tomatoes, oregano, Fresno chilies, Pecorino, and eggs over easy.